You’re Invited: Poshmark Turns Two! November 26, 2013 August 13, 2014 Categories Community, Events, PMHQ2nd birthday party, anniversary, Celebrate, event, eventbrite, fashion, happy birthday poshmark, invite, pmhq, Posh Party, Poshmark Party, poshmark turns 2, styleLeave a Comment on You’re Invited: Poshmark Turns Two! 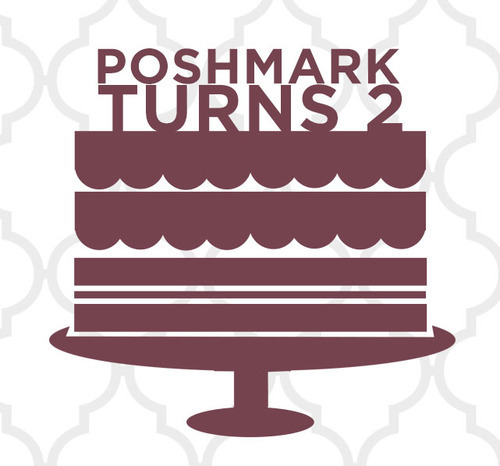 On Friday, December 6th, Poshmark is turning two! To celebrate our birthday, Poshers across the country are joining forces in their hometowns to meet each other in person, mix and mingle, and honor this special community of women they have have helped to build over the last two years. We’re throwing an extra special birthday party at PMHQ in the San Francisco Bay Area – where the magic all started two years ago. Come join the Poshmark team for friends, fashion and all the Posh fun by clicking here! Want to join in on the fun in your city? Check out all of the live parties happening across the country by clicking here and be sure to RSVP! Cheers to another exciting year ahead! Next Post We’re Giving Thanks With FREE Shipping!